Much of the information on this page was contributed by Steve Powell of Sumter, South Carolina. He obtained some of his information from Mrs. McCoy's book. 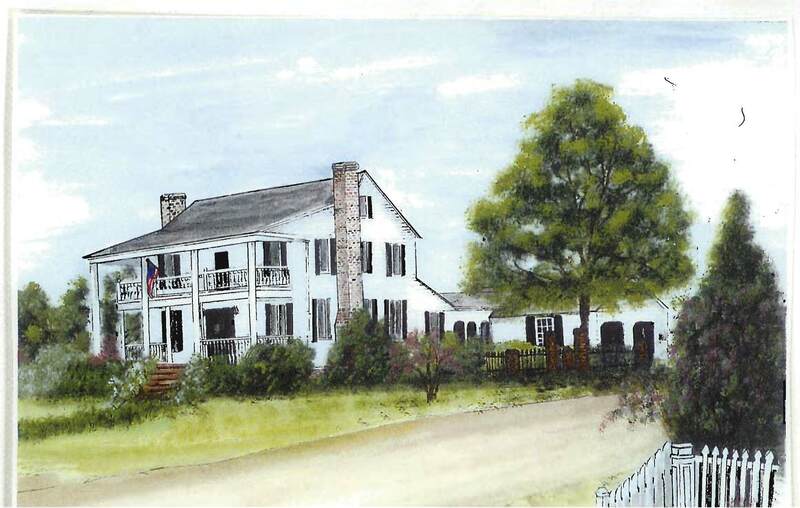 According to Mrs. McCoy's book, the house was built primarily by a slave named Ancrum Murphy; he was rewarded with his freedom for its contruction. The back porch has been closed in and made into a kitchen. It is a three-story clapboard house. Comments  The house was badly damaged by Hurricane Hugo and was considered a total loss. Barbara (Bobbi) and Sam McCoy, who lived in it at the time, resisted the urge to tear it down and instead spent a great deal of money to salvage it. All four chimneys were heavily damaged during the storm and only the two forward chimneys and the first floor fireplaces were rebuilt. Thus the house that once had 8 fireplaces, now has two. Also, the roof blew off during Hugo. The old roof was wood shakes; it is now shingles. The framing survived and remains the rough hewn, pegged timbers of yore.